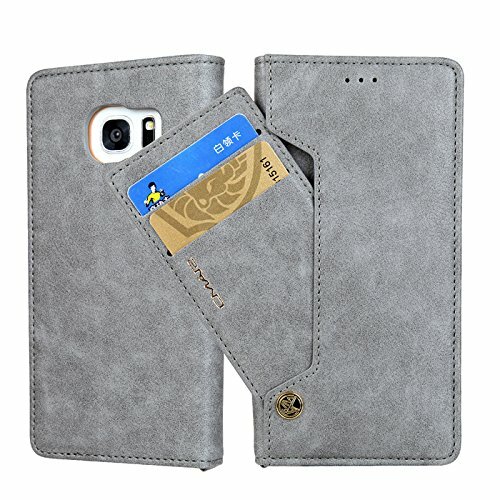 ♥ This case is made of high grade synthetic PU leather, it will protects your Phone from scratches, bumps, and dirt. ☼ High Quality, Retro and Durable, Easy to install and remove. ☼ Card Slots & ID Holder Design, Easy to store your documents card. ☼ Ultra slim lightweight hardback adds minimal bulk while protecting your precious device. ☼ Stand function for comfortable viewing. √ High Quality PU leather, retro and durable, Easy to install and remove. √ This case is designed with specifically 3 storage slots inside so that you can carry around your ID, credit/debit cards, and cash without having to take your bulky wallet. √ It will make your life more simple and convenient.It has stand function which will bring you more convenience for movie-watching with multi-viewing angles, hanging out with friends on Face Time, and taking timed group photos. √ Please confirm your Phone model before you order it. √ Stand function for comfortable viewing.